Manchester City were searching for a third goal at Cardiff back in September and, as Leroy Sane advanced towards the area, there was no room for Raheem Sterling to make one of his blistering runs in behind. Sane offloaded the ball to Ilkay Gundogan and Sterling, occupying a harmless space between five home defenders with his back to goal, barely moved. When he did, it was to take two small steps forward into the "D" before he and City sprang to life. A quick gesture to Gundogan, a sharp ball into feet, a one-touch lay-off later and within seconds, the Germany international had found the far corner. The finish was superb but the goal owed everything else to Sterling's coolness amid a sea of bodies. 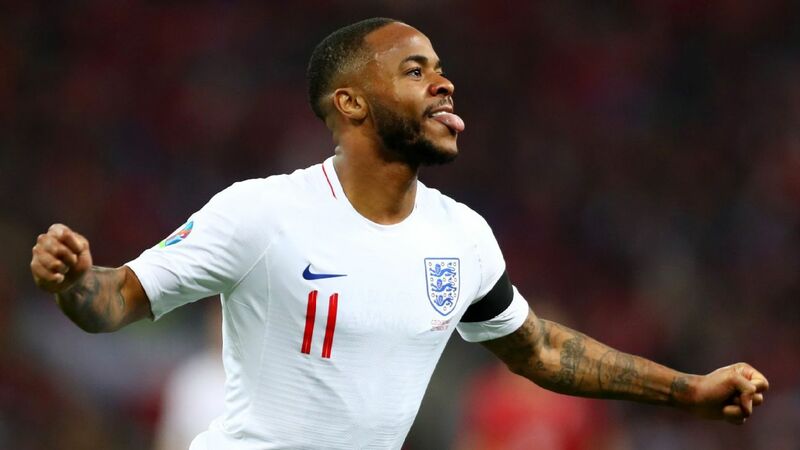 That was just one of Sterling's contributions in a dazzling first three months of the season that has banished any doubts as to whether he belongs in the Premier League's -- and probably the world's -- highest bracket. Pick any statistic and it will impress you: His combined number of goals and assists, 11, sits only behind that of his teammate Sergio Aguero. His number of expected goals and assists is, in fact, eight -- but Sterling is in the kind of form that makes a mockery of expectations. Nobody in the division has made more "second assists" (the key pass before an assist) than his five, and Mohamed Salah is the only player to have touched the ball more inside opponents' penalty boxes. Sterling oozes danger and it is being matched by almost unerring productivity, too. This can hardly be described as a breakout season, either; perhaps it's more a coming of age. Sterling has become the player who, ever since he was plucked at 15 by Liverpool from Queens Park Rangers after growing up a goal kick away from Wembley Stadium, most had hoped he would be. 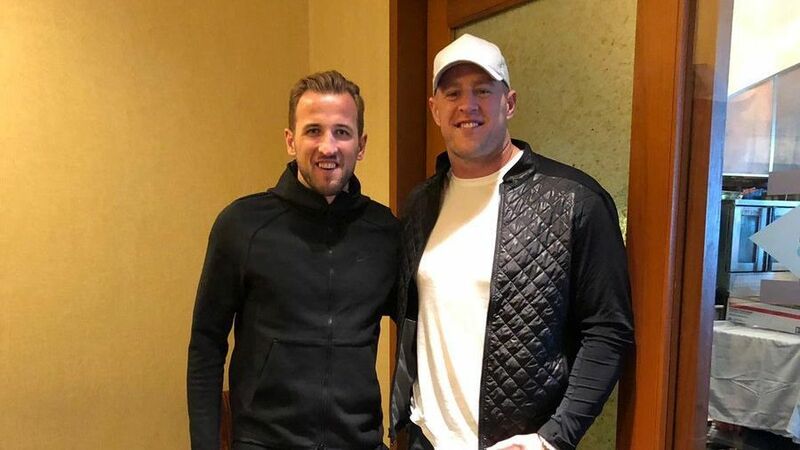 He has had to bear a heavy weight of scrutiny and unfair attention in the process, but the moment has come to credit him for being a world-class player and for those that know him, it was always a matter of time. "My opinion is that he's currently in that top-five list of wingers you just wouldn't want to face," says Frankie Sutherland, who played with Sterling at QPR from under-12 level until his departure for Anfield. 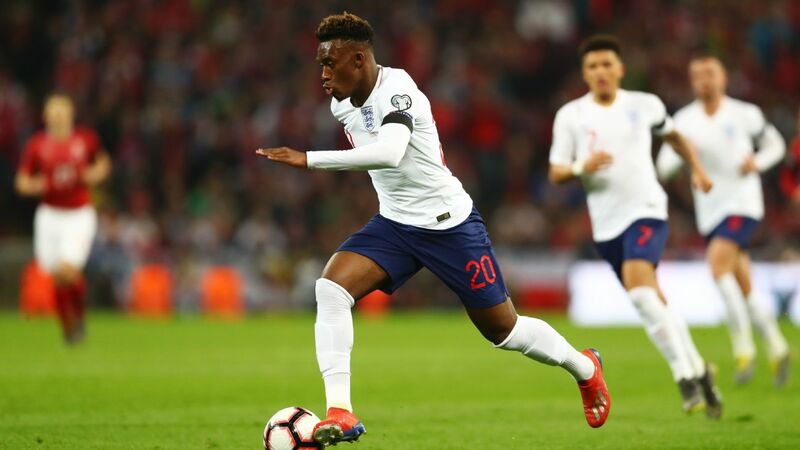 Sutherland now plays for English National League side Bromley and recently made a point discussing his old teammate's merits with his current colleagues; he believes Sterling is, along with Harry Kane, one of England's two best players and that everything is in place for him to be "classed among the world's best." Sutherland notes that, at QPR, everything came easy to Sterling. He was playing two years above his age group at one stage, an uncanny core strength hidden within his diminutive frame. If defenders hadn't already been left behind already, they'd just bounce off him. "He was always better than anyone else so he could just take the ball, beat four men and score," says Sutherland. "I suppose he didn't have to think too much about his game, it all came naturally and he was always doing so well. "It's a real credit to him that at City he's been taking on board what Pep Guardiola has said to him, and that he can go into a 'Pep team' and play like that." Forget the stats. Raheem Sterling's sublime play vs. Cardiff was proof that the 23-year-old has matured into a world-class player. That basic three-yard pass at Cardiff City Stadium, facing in a direction away from goal that would once have been anathema to Sterling, hinted at a player who is no longer solely reliant on the speed, strength and explosive power that sent him soaring beyond his peers. The brain can do the work, too, yet Sterling himself would say the process has not been complicated. Speaking to a group of journalists last March, he said Guardiola "brings you back to what you used to do with the under-8s," suggesting that the apparent complexity of City's build-up play is born more of clarity than anything else. In particular, Guardiola taught Sterling to improve his dribbling technique by opening his body to the ball rather than bringing it under his spell with the outside of his foot; he has made other subtle tweaks to Sterling's game, aware that his talent required nurturing rather than moulding. It is hard to think of another City player whose game has developed quite as much under Guardiola, which is some statement to make -- perhaps only John Stones' improvement is comparable. 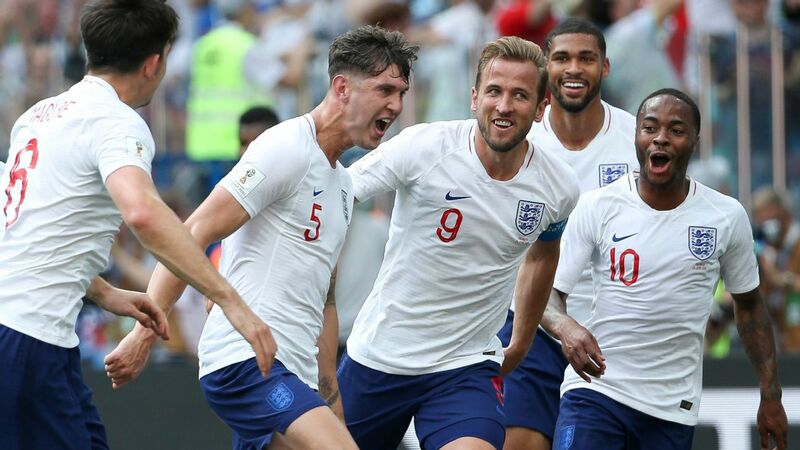 It felt like a watershed moment in October when Sterling, who had not scored an England goal for three years, put that statistic to rest by netting twice in the 3-2 win over Spain. Some of the criticism he received during that time was unrelenting and over-the-top, even during a World Cup in which his overall performance level was excellent. Gareth Southgate's assertion that Sterling had overcome a "psychological barrier" with his brace in Seville made sense and brought to mind Guardiola's response when asked, a few days prior, what had changed in the forward during their two-and-a-quarter years working together. "His head," Guardiola replied. "The first season, he was scared. He is more mature now than he was when we first met at the club." Sutherland describes a young player who was "quite quiet, no arrogance, no ego, the opposite of how he's has been portrayed." He says "everybody just wished him well as a person" when he left for Liverpool, not always something taken for granted in hyper-competitive academy environments. They were coached at QPR by Steve Gallen, who heads up Charlton Athletic's recruitment programme these days, and there would have been no room for big heads. "A lot of people talk about kids getting too much too early but with Steve, it was the other side of that," Sutherland says. "He was very much about discipline and I think we were probably among the last age groups that went through this older-school approach. You did your jobs and had to wear plain black boots. That helped us and helped Raheem." Gallen spoke admiringly of Sterling's focus in an interview with QPR's website back in 2014. "Any time I chucked anything at him at QPR, a big step, he more than coped with it," he said. "Nothing really daunts him that much. When he was 14, he played for the reserves against men. That's just him -- chuck him into something, and he loves that kind of challenge." Even as a teenager, Sterling met and surpassed every challenge that stood in his way. Just as he used to shrug off boys a foot taller and a couple of years older, Sterling has had to stand impervious to intense analysis -- some of it with unpleasant undertones -- of his personal life, his choices of house and car, his every step away from the game. Perhaps the need to fight his corner, but also to keep quiet, from such a young age has helped him in those aspects too. "I didn't think I was being spoken about in a fair manner, didn't think I was being treated right," he admitted of his first year at City, when his form fluctuated. Yet he's managed to block out the background noise, the old instincts honed at QPR serving him well, and the excitement now lies in how far he can go from here. Arsene Wenger once suggested that a forward will only begin to realise his full potential from the age of 23. Sterling turns 24 on Dec. 8 and in that context, his achievements to date have been astonishing. He was just turning 20 during that scintillating season when he, Luis Suarez and Daniel Sturridge took Liverpool agonisingly close to the league title; he was only 19 when he emerged from England's disastrous 2014 World Cup campaign as the nation's sole shining light. When a Premier League winner's medal finally did arrive last season, it owed much to his 18 goals and 11 assists. A minor furore over showboating at the end of the recent Manchester derby, which earned him a public ticking-off from Guardiola, was a reminder that he does not walk around wearing a halo but it seemed the City manager was -- at least to some degree -- looking to protect his player from negative headlines. The highs and lows have been extreme but Sterling has emerged as one of the calmest, most composed, most clinical performers at precisely the time anyone would have expected. "He came onto the scene so young and people do forget that due to the sheer number of games he's played, which is testament to him," Sutherland says. "He's improving all the time and his record, those goals and assists, is now quite staggering really." The diminutive, unassuming kid who first took Sutherland's breath away more than a dozen years ago is now an all-round talent with few equivalents anywhere across the globe.